The Black Eagles are originally from Tanzania where they learned their acrobatic skills at the age of six on the streets of Dar-Es-Salaam. 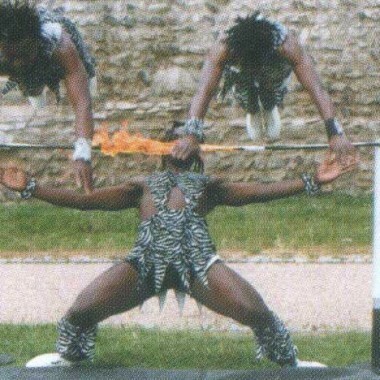 They met in Zambia in 1991 and joined Brian Boswell’s Circus in South Africa in 1992. 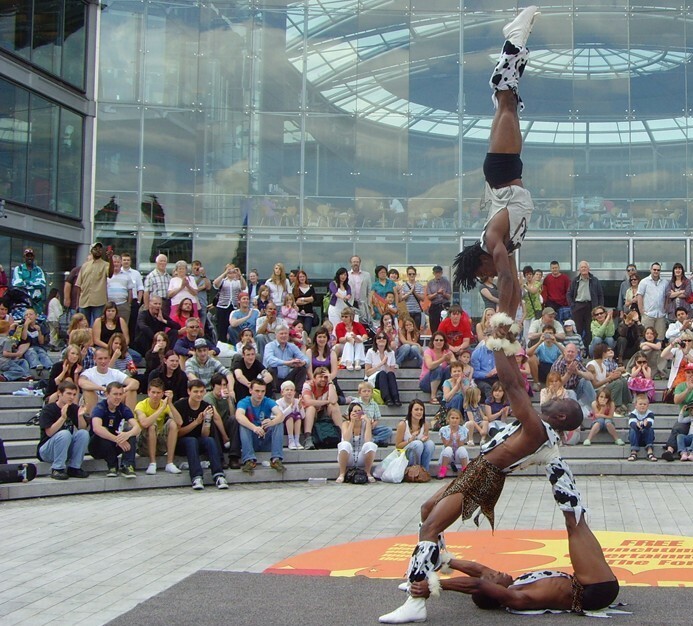 They toured extensively in South Africa, Botswana, Zimbabwe and Mozambique before coming to England in early 1994 to join Jerry Cottle’s circus. 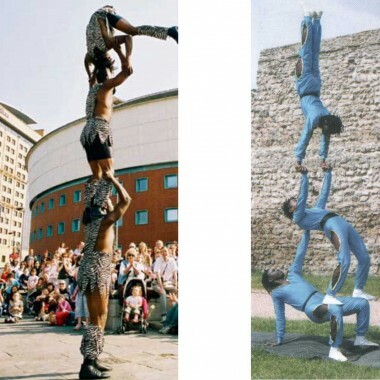 They toured throughout Europe with the circus for eighteen months and then formed the three-person Black Eagles, venturing into indoor cabaret and outdoor performances. 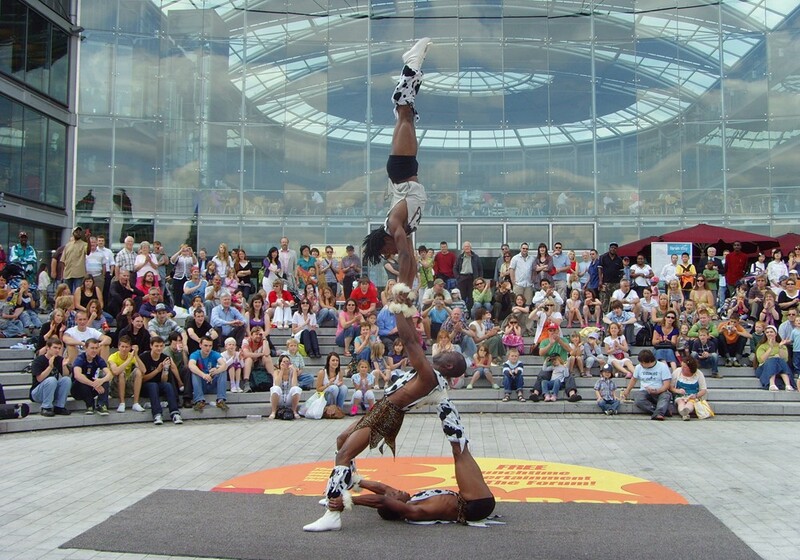 Since then, they have appeared all over the UK and Europe at festivals such as Womad (UK, Spain and Canary Islands). Glastonbury festival, Sidmouth International festival, The Royal Albert Hall, Canary Wharf, Sunderland Stadium, Legoland and Alton Towers.